Holocaust survivor’s children told to "go back to Germany" and hit with Nazi slurs. Rights org. calls to expose the attackers. 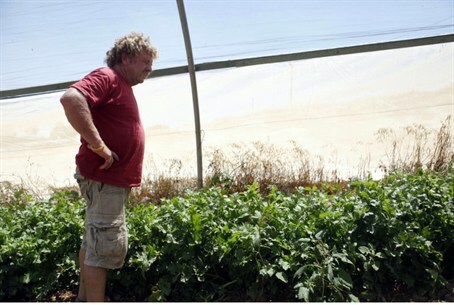 The story began when journalist Kalman Liebeskind wrote an article in support of the Deutsch family, a family of Israeli farmers living in the Hevron region. The family is facing the destruction of its farm at the hands of the Israeli Civil Administration. The story earned more than 470 comments. Many were supportive of the Deutsch family and criticized the Netanyahu administration and IDF Civil Administration over the demolition orders. Mordechai Deutsch’s father Ze’ev was from Germany, but left after his wife and young children – Mordechai’s siblings – were murdered in the Holocaust. Another of Mordechai’s siblings, brother Shaya, was murdered in Israel by Arab terrorists. Mattot Arim’s demand follows a case in Britain in which a woman who was harassed online won a High Court order exposing her anonymous attackers.